There is a relativity principle, postulate, and theorem, and they get confused. I explain the difference. is the requirement that the equations describing the laws of physics have the same form in all admissible frames of reference. A fundamental concept of Lorentz's theory in 1895[A 1] was the "theorem of corresponding states" for terms of order v/c. This theorem states that a moving observer with respect to the aether can use the same electrodynamic equations as an observer in the stationary aether system, thus they are making the same observations. Lorentz improved this to cover all velocities in his 1899 and 1904 papers. In standard physics, Lorentz symmetry is "the feature of nature that says experimental results are independent of the orientation or the boost velocity of the laboratory through space". Lorentz covariance is a related concept, covariance being a measure of how much two variables change together. Lorentz covariance (from Hendrik Lorentz) is a key property of spacetime that follows from the special theory of relativity. Now if hereafter, we succeed in maintaining this covariance as a definite connection between pure and simple observable phenomena in moving bodies, the definite connection may be styled the Principle of Relativity. So the relativity theorem is the mathematical covariance of physical variables under a change of observers. The relativity principle is the physical idea that observers in different frames see the same physics. Einstein is referring to Lorentz's 1895 theorem of corresponding states, as the 1895 paper only proved it to first order in velocity. Einstein is ignoring Lorentz's 1899 and 1904 papers proving it for all velocities. This postulate is why Lorentz said in his 1906 Columbia U. lectures on relativity that "Einstein simply postulates what we have deduced". Lorentz proved his theorem of corresponding states for Maxwell's equations, and Einstein just assumed it as a postulate and confusingly called it the relativity principle. Einstein achieved some phony simplicity with this approach, but it was useless. There was nothing new, mathematically or physically, in postulating what someone else had proved. In 1908, everyone was convinced of the superiority of the Poincare-Minkowski approach, and adopted Lorentz covariance as the cornerstone to relativity. The Einstein approach was scrapped, and Lorentz covariance continues to be one of the central physics concepts today. If I've learned anything as a physicist, it's how little we know with certainty. In terms of the ultimate nature of reality, we scientists are ontologically ignorant. For example, many respected physicists believe in the so-called Copenhagen Interpretation of quantum mechanics, according to which a fundamentally random process called "wavefunction collapse" occurs whenever you observe something. 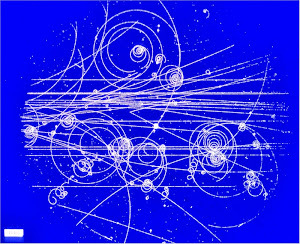 This interpretation has been criticized both for being anthropocentric (quantum godfather Niels Bohr famously argued that there's no reality without observation) and for being vague (there's no equation specifying when the purported collapse is supposed to happen, and there's arguably no experimental evidence for it). Let's compare the ontological views of Niels Bohr to those of a moderate and tolerant religious person. At least one of them is incorrect, since Bohr was an atheist. Perhaps neither is correct. But who's to say that the former is clearly superior to the latter, which should be ridiculed and taunted? Personally, I'd bet good money against the Copenhagen Interpretation, but it would be absurd if I couldn't be friends with those believing its ontology and unite with them in the quest to make our planet a better place. That would be a tough one for me. How do you think Dawkins answered? And how would you have answered if you possessed Dawkins’s proficiency at explaining evolution as well as his enormous public profile as an atheist? Really? I would have guessed that nearly all science professors would rather explain science than destroy religion, especially since many religions are supportive of science. Tegmark is correct that most Christians accept evolution and most of the rest of modern science. Yes there are some ontological differences, but you can also find those within physicists discussing quantum mechanics. That being said, Tegmark slanders the Copenhagen Interpretation. The interpretation is an explanation of how we perceive the world, and how we can update our knowledge of atomic phenomena. I would not call the collapse a fundamentally random process. But I don't want to nitpick here. His point is that physicist disagree about quantum ontology, and that is certainly correct. In 1939, Paul Dirac observed that “the physicist, in his study of natural phenomena, has two methods of making progress”: experiment and observation, and mathematical reasoning. Although he said, “there is no logical reason why the second method should be possible,” nevertheless it works, and to great effect. The key, Dirac felt, was beauty, leading him to his principle that successive theories of nature are characterized by increasing mathematical beauty. The results of this were rich and included some predictions not confirmed until after Dirac’s death. Nevertheless, the powerful guidance Dirac found in mathematics did sometimes lead him astray, as he rejected the principle of “renormalization,” developed by Feynman, Schwinger, and Tomonaga, to remedy the nonphysical infinities that kept cropping up in Dirac’s equations for quantum electrodynamics. Even as other physicists accepted it, Dirac never did, saying it was “just not sensible mathematics.” Nevertheless, it was powerful physics. Why do the atoms have those properties? Because they’re made of quarks and electrons. What about the electron? What properties does it have? And the cool thing is, all the properties that electrons have are purely mathematical. It’s just a list of numbers. So in that sense, an electron is a purely mathematical object. In fact, there’s no evidence right now that there’s anything at all in our universe that is not mathematical. Yes, there is evidence. There is no purely mathematical description of an electron because, according to the rules of quantum mechanics, measurements on an electron can depend on measurements of a possibly-distant entangled electron. The usual explanation is that the two electrons have a joint mathematical description as a spinor wave function in a tensor product Hilbert space. This leads to paradoxes of relativity and causality. There are different interpretations of quantum mechanics. The electron is never just a list of numbers. All attempts to reduce the electron to some lcoal set of numbers have failed. We can predict measurements of an alectron based on previous measurement of that electron as well as any entangled electrons. But we cannot reduce the electron to numbers. Dirac got Einstein's disease, and was unproductive once he got the idea that physical theories could be predicted by mathematical beauty. Tegmark says he is writing a book, and will promote it on his Facebook page. Poincare had that realization before Einstein, even if Lorentz did not. We can still read Poincaré’s 1900 remarks in the light of his 1898 memoir, i.e. implicitly, the clocks are taken to have been calibrated to sidereal time. However, due to the issue of the setting of the initial phase of distant clocks (the synchronization of the clocks), Poincaré discusses the relation between the time read by the clocks in an apparently autonomous way. That is correct. Einstein first wrote about relativistic time in 1905, long after Poincare's ideas were well-known throughout Europe. The first founder of relativity was the Scottish physicist James Clerk Maxwell. I say this because the created the first relativistic theory, coined the word "relativity", and inspired the crucial experiment. In the long run, Maxwell will be recognized as a much more important physicist than Einstein. By a relativistic theory, I mean one where motion is relative, and there is no action-at-a-distance. A more precise definition is a theory with Lorentz covariance, but that concept was not understood in Maxwell's lifetime. Motion is relative in Newtonian, Lagrangian, and Hamiltonian mechanics, but action-at-a-distance was necessary to explain gravity. Our whole progress up to this point may be described as a gradual development of the doctrine of relativity of all physical phenomena. Position we must evidently acknowledge to be relative, for we cannot describe the position of a body in any terms which do not express relation. The ordinary language about motion and rest does not so completely exclude the notion of their being measured absolutely, but the reason of this is, that in our ordinary language we tacitly assume that the earth is at rest. As our ideas of space and motion become clearer, we come to see how the whole body of dynamical doctrine hangs together in one consistent system. Our primitive notion may have been that to know absolutely where we are, and in what direction we are going, are essential elements of our knowledge as conscious beings. But this notion, though undoubtedly held by many wise men in ancient times, has been gradually dispelled from the minds of students of physics. There are no landmarks in space; one portion of space is exactly like every other portion, so that we cannot tell where we are. We are, as it were, on an unruffled sea, without stars, compass, soundings, wind, or tide, and we cannot tell in what direction we are going. We have no log which we can cast out to take a dead reckoning by; we may compute our rate of motion with respect to the neighbouring bodies, but we do not know how these bodies may be moving in space. We cannot even tell what force may be acting on us; we can only tell the difference between the force acting on one thing and that acting on another. Since then, the cosmic microwave background (CMB) radiation has been discovered to be a landmark for motion in space. Our galaxy is moving at 627±22 km/s relative to the CMB rest frame. No theory of the constitution of the aether has yet been invented which will account for such a system ... Whatever difficulties we may have in forming a consistent idea of the constitution of the aether, there can be no doubt that the interplanetary and interstellar spaces are not empty, but are occupied by a material substance or body, which is certainly the largest, and probably the most uniform body of which we have any knowledge. The uniformity of the aether is the essence of relativity. 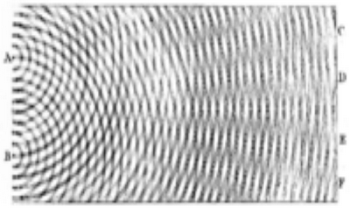 That uniformity makes light and electromagnetism the same for all observers. Einstein did not like the term "relativity" initially, but Poincare and others used the term before Einstein wrote about the subject, and the term caught on from them.